We have given the green go-ahead recommendation in this Mr Green casino review. We’ll show you what’s been behind the rapid globalisation of this action packed, exciting and entertaining online casino. While Mr Green Casino may be a relatively new player on the UK’s online casino scene, he’s been doing his thing in Sweden since 2008. After four years of exclusive availability to Swedish gamers, Mr Green Casino spread his wings and made it over to this side of the sea, where the site has hit the ground running in a fast-accelerating British online casino market. Up to £100 1st Deposit Match Bonus + 200 Bonus Spins for all new players. If you decide to invest £100, your first deposit will be matched 100%, earning yourself an extra £100, which is the maximum bonus amount. The minimum deposit is £20 and this must be wagered first, to unlock the bonus. Whilst here we review the general casino welcome bonus, however, there is also another Live Casino Welcome Bonus available at Mr Green Casino. You can claim 50% of your deposit back, up to £50. Min deposit £20. This bonus will be credited when your account balance is £0. How do I claim and activate my Mr Green Casino Bonus? Play with 100% bonus up to £100. Open your new account by filling in the simple registration form. Validate your account and make your first deposit and wager with a minimum of £20 to unlock 100 free spins. You will also activate 5 days of 20 Bonus Spins a day on selected games – Totaling another 100 Bonus Spins. In total, you will have a balance of £200 to play with (100 real cash and 100 bonus money – Based on a £100 deposit). When you start playing you will first be using your own £100 you deposited to your account. To see how much real cash vs bonus money you have on your account, simply go to your account section (click on the menu on the top right, and select “Active bonus” in the menu). The match bonus can be claimed at any time after creating your player account, but to receive the free spins, your first deposit will need to have £20 wagered. Any bonus funds must be wagered 35x on slots before you can withdraw any winnings on the bonus itself or the free spins. Free Spins are available on Starburst, Asgardian Stones, Gonzo’s Quest, Finn and the Swirly Spin, Aloha and Fruit Spin and are available for 7 days. Your initial deposit will be used up first when playing. This means that any winnings generated from your real cash are yours to keep and withdraw despite the bonus. If you lose your initial deposit money, then you’ll start playing using the bonus money. We believe that this is a great policy as you won’t have to tie your deposit and bonus when claiming a bonus, as some other casinos will do this. In order to always keep its existing customers happy, Mr Green Casino has decided on an extensive existing customer program. Tournaments are played at regular intervals. For example, players can challenge other fellow players for Free Spin rewards in Mr Green Casino’s ‘Reel Thrills’ slot tournaments. There is a Reel Thrill every 15 minutes on a wide range of slot games, giving you the chance to play your favourite games, have fun and get rewarded while doing so! Simply choose a Reel Thrill you like, conquer a top leader board position and reap the Free Spin rewards! Bonus Spins – This type of promotion rewards players with free spins for a certain slot when a deposit is made on the day of the offer. Slots Tournaments – On most weekends, players can take part in slots tournaments. In order to take part in a tournament, you just play any of the qualifying featured slots. Mr Green Casino offers customers jackpot games and with a little luck, there is the chance to swipe a large sum of money. With over 1000 different games to play, Mr Green Casino offers its customers a superb selection. In addition to the big names in the industry such as Microgaming, NetEnt or Play'N ‘Go, you can count on strong newcomers like Thunderkick or Yggdrasil. Meanwhile, the online casino has more than 20 game providers that have been integrated. With over 1000 different slot machines available to the enthusiastic, slot fans have the largest selection in the casino. Modern video slots and classic slot machines are mixed here, which should tend to serve a wide range of tastes. In addition to numerous prominent representatives such as Starburst, Triple Chance, Gold of Persia or Jack Hammer, there are also a few exclusive slots which can only be found at Mr Green Casino. Over 30 different roulette and blackjack games are available here and waiting for the stakes of the players. Roulette forms the stronger power here and stands with over 17 different game tables. There are numerous live game variants of both roulette and blackjack. Other table games at Mr Green Casino include Red Dog, Oasis Poker or Punto Banco. In addition, there is also a small selection of video poker devices. Mr Green Casino has more than 40 jackpot games available for really big winnings, sometimes millions of euros. Some of the jackpot slots include Mega Moolah, Hall of Gods and Arabian Nights. Mr Green Casino has an elite VIP scheme for the most dedicated players who deposit and play regularly. If you are eligible to become a VIP, the operator will contact you directly with your invitation. Plus, if you already have VIP status at another online casino, you can contact the VIP team to be instantly considered to join the club. Some of the benefits of becoming a VIP player are exclusive promotions such as higher bonuses and exclusive prizes, a dedicated account manager, faster payments and withdrawals, plus invitations to exclusive VIP events. For those preferring to square off against a live dealer rather than a machine, Mr. Green hits the nail on the head in a big way. 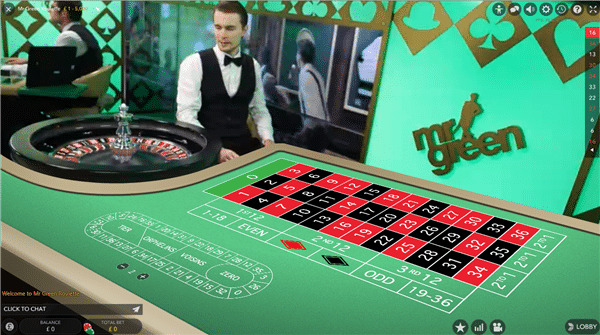 Offering the full Vegas-style experience with roulette, blackjack, baccarat, Sic Bo and Texas Hold’em, Mr. Green's Online Live Casino manages to pull off the live-action act without ever bordering into the corniness often seen across rival sites. The experience is smooth, bug-free, and run only by clearly trained professionals. You are able to see the dealer shuffle the cards and hear them manage the game with commentary, just like in a real bricks and mortar casino. You can ask questions at any time to the dealer in live chat. For example, you can tell the dealer whether you want to stand or hit while playing blackjack. All dealers are fully trained, friendly and professional, giving helpful advice whenever asked. It’s always reassuring to come across a casino that not only accepts a whole bunch of different secured payment methods for deposits and withdrawals but also doesn’t set any unreasonable limits on the minimum sums. In the case of Mr. Green, you can take out or pay in any amount that's £10 and up, which means there’s no need to put too much on the line. The minimum withdrawal amount is £30 and there is no maximum amount. Below is a list of the actual deposit and withdrawal methods at Mr Green Casino. There are no fees attached to deposits or withdrawals, and the vast majority of transactions are completed within 24 hours. Mr Green Casino accepts all Visa and Mastercard options as well as Neteller, Skrill, Paysafecard and PayPal. When it comes to mobile, Mr Green Casino truly excels from the rest. You get a seamless and mobile friendly application that is available to play on smart phones. Form either iOS, Android or any mobile web browser, you can access Mr Green Casino and most of its games from almost anywhere as long as you have access to internet. Set limits for deposit, loss, or wagering with the inbuilt Green Gaming tool. How to Contact Mr Green Casino’s Customer Support? One of the most positive aspects of Mr Green Casino’s customer service is the UK telephone number considering Mr Green Casino is based in Malta. There is also a great live chat service that tends to offer one of the fastest response times on the market. Click on ‘contact us' to get the option to either send an email or to start the 24/7 live chat. In case you can't see the live chat, all agents are occupied. Mr Green Casino’s unique overall green-themed branding, which is instantly recognisable – Mr Green Casino’s the name and game in this instance. What’s more, the fact that Mr. Green himself welcomes you in the first place is a unique personal touch. Deposit limit – Set a deposit limit that prevents you from depositing more than you should. Loss limit – Set yourself a loss limit to prevent any surprises. Wagering limit – Limit the amount of money you place on bets. 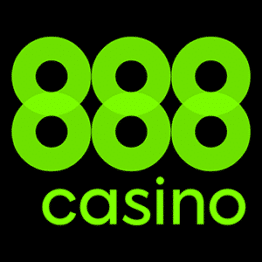 He has won several awards within the industry across the years, including the IGA Online Casino Operator of the Year 2013, 2014, 2015, IGA Online Gaming Operator of the Year 2017, and SBC Award for Socially Responsible Operator of the Year 2017. Mr Green Casino Limited is licensed and regulated by the UK Gambling Commission, allowing it to legally provide services to players in the UK. Mr Green Casino also holds a valid licence issued by the Malta Gaming Authority, protecting players from other countries. Mr. Green is a safe and reliable option to try your luck with as it delivers an excellent platform for desktop and mobile gaming alike. There’s an incredible array of slots on offer, so if slots are indeed your thing, you probably won’t find many better places to head to. Plus a top welcome bonus of Up to £100 1st Deposit Match Bonus + 200 Bonus Spins for all new players, and flexible bonus withdrawal options. Mr Green Casino is reputable, trustworthy, innovative, entertaining and most of all an acknowledged and awarded online. We absolutely recommend this casino. None. Mr Green Casino’s bonuses are applicable to slots and therefore, all other games have a 0% contribution. Does Mr Green Casino Accept PayPal? Yes, of course, PayPal is one of many payment options accepted at Mr Green casino. What Jackpots Are There at Mr Green Casino? Mr Green Casino has more than 40 jackpot games available for really big winnings.